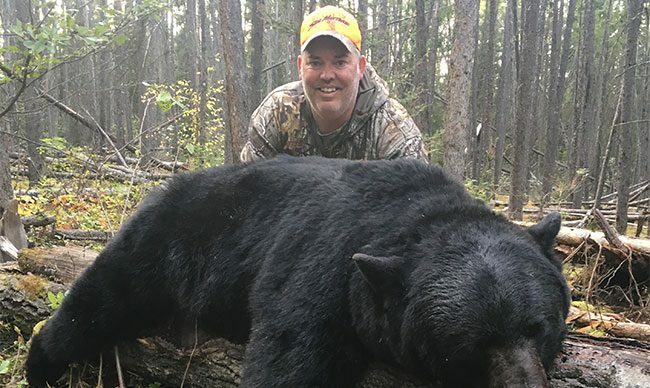 This spring black bear hunting season opens the end of April and continues into the end of June and the fall season begins the last week of August and runs until the first week of October. 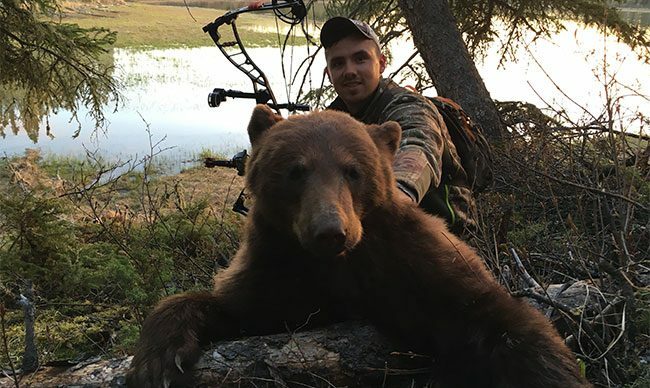 However, due to our northern location we don’t begin the bear hunt until the middle of May in the spring and ends around mid to late September in the fall. 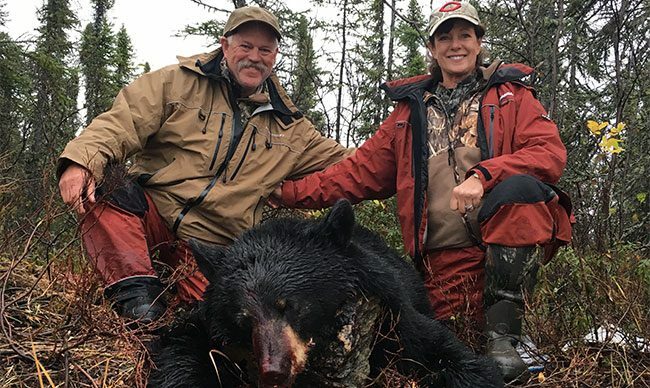 The advantage to bear hunting in the north is the lack of hunting pressure and the availability of excellent hides throughout both the spring and fall seasons. 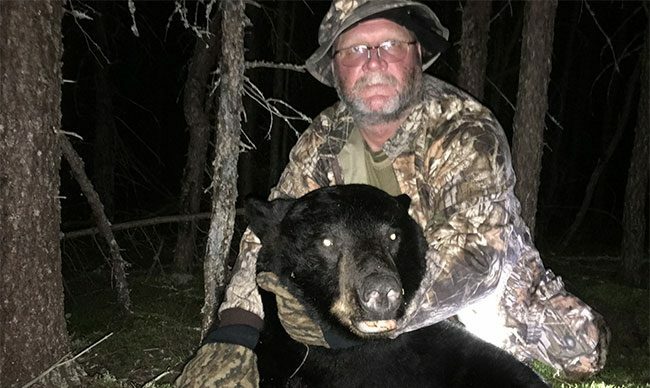 A non-resident hunter can only obtain a Black Bear hunting license through an outfitter, and can harvest one bear per calendar year. 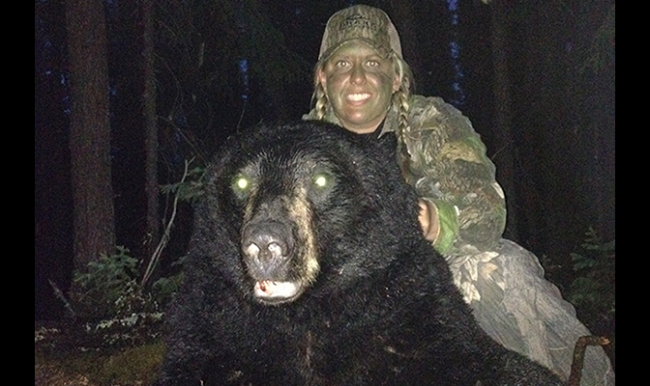 The holder of a black bear or moose license is permitted to take a Timber Wolf in the fall seasons if one presents itself, providing the Black Bear or moose license is unused at the time of the wolf kill. 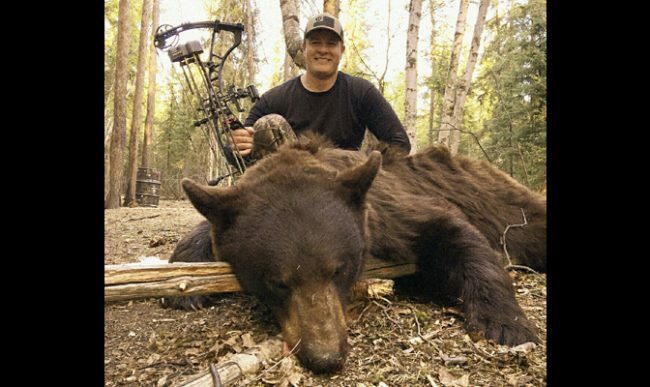 Even after the wolf kill the hunter can continue to harvest a bear or moose. 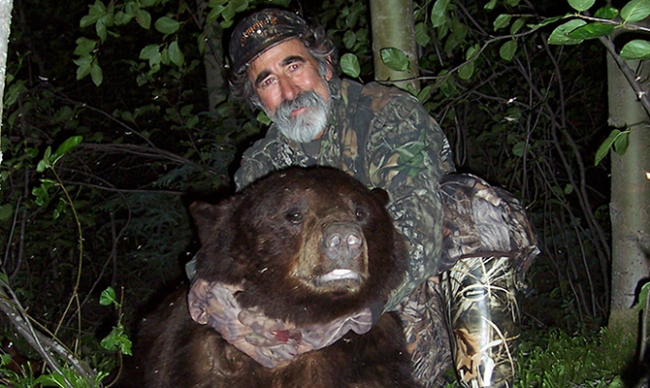 The Black Bear and Timber Wolf are extremely sensitive to human odor. 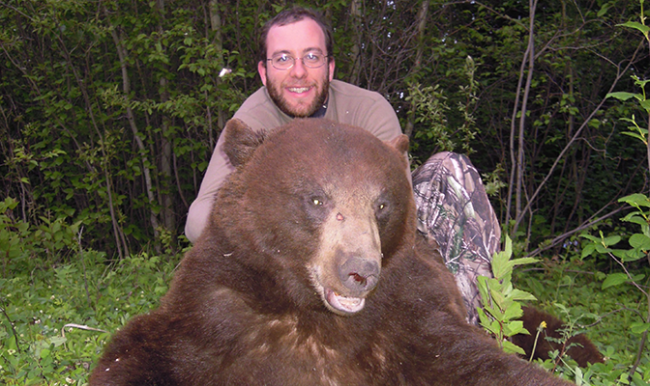 Large bears and wolves are very cautious and can usually pick up any unusual movements or misplacements in there home range. 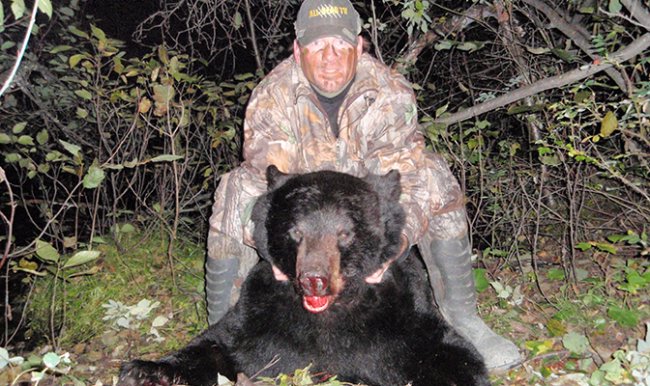 If the animal is aware of the hunter in the area he will wait you out and come in the safety of darkness. 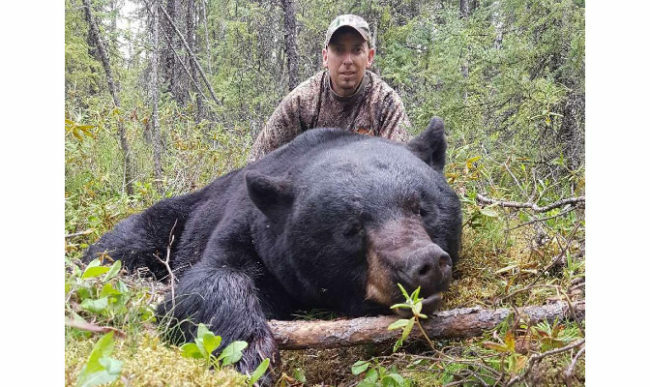 Our guides will do their best to show you the best trophy black bear hunt you can imagine in beautiful northern Manitoba. $2650. This package is a guiding service only. Customer looks after accommodation and meals. $3350. This is the complete package with accommodations and meals in local hotel. $3650. 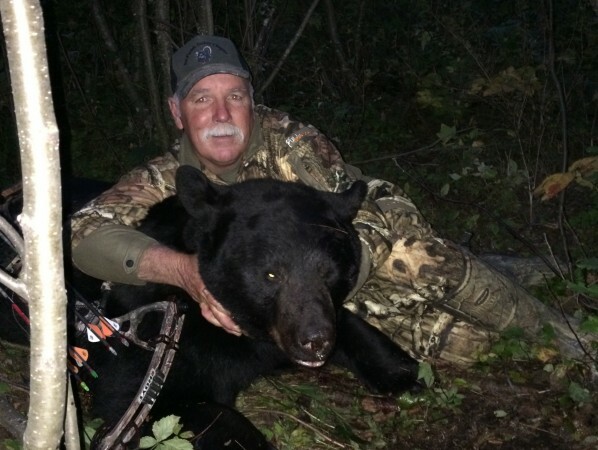 This is a five day bear hunt in outpost camp. Accommodations include cabin with separate sleeping and cooking areas. Fishing during day with boat, motor and fuel included. 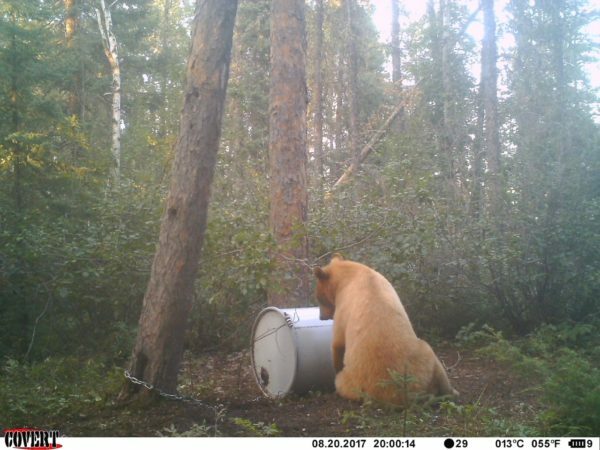 There is also a 3D archery bear target on site. 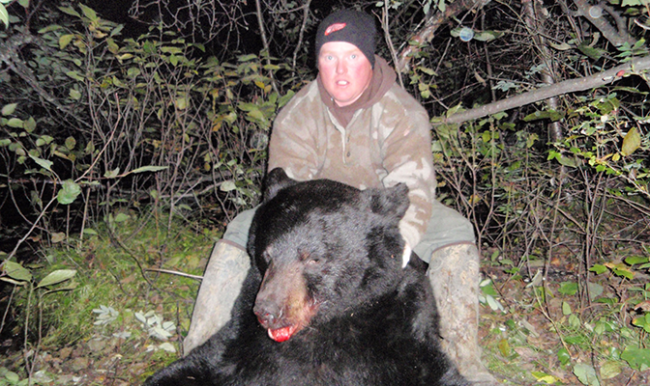 Non-resident Black bear tag/license $340. 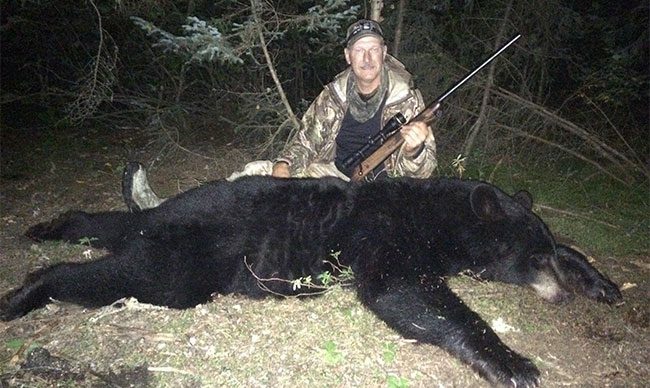 There is a $500 trophy fee for taking a timber wolf on all bear hunts which must be paid in full before continuing to hunt the bear. 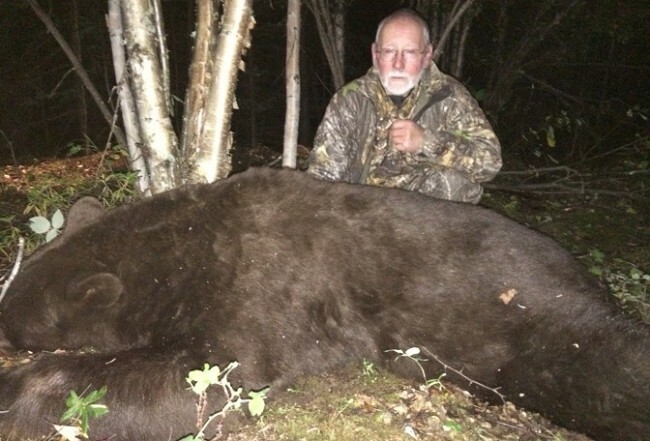 A $1500.00 deposit is required to book any bear hunt and is non-refundable. Balance is due 90 days in advance. 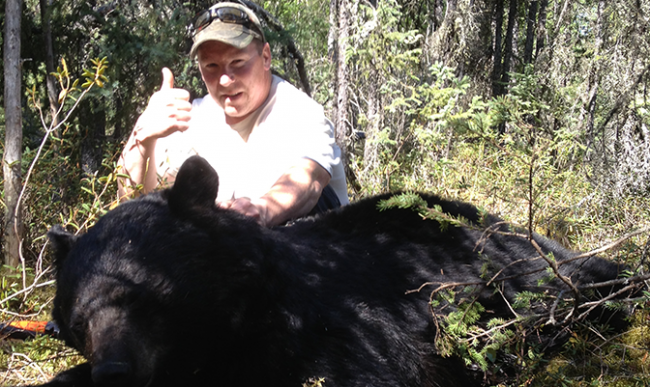 Taxes and licences extra on all packages. All prices US dollars.